I know by now you’re probably used to reading my reviews of premium cabins like American Airlines, Qatar, Emirates (and even more Emirates), or Korean Air, but every so often I fly Southwest. Mostly because I got a Companion Pass through shopping portals last year. Believe it or not, I can respect Southwest’s business model, other than the whole “Low Cost Carrier” thing, because lets face it, they aren’t one anymore. I remember writing about Southwest in grad school, and the thing that stood out to me most about the airline was the culture. No, not the hot pants, promotional free whiskey, or funny jokes. What stood out most was the fight. Herb Kelleher, one of the founders, had an indelible impact on Southwest, with his crusades. With Herb, everything was a crusade. The crusade for Southwest to survive, the crusade to continue flying from Dallas’ Love Field, and later, his crusade to get the Wright Amendment phased out. For those of you who don’t know, the Wright Amendment was a “compromise” that allowed Southwest to continue to fly from Love Field, however it put significant restrictions on where Southwest could fly to, from Love Field. So, back to yesterday, I wrote this flying down to Florida, and it occurred to me that things change, but they also stay the same. 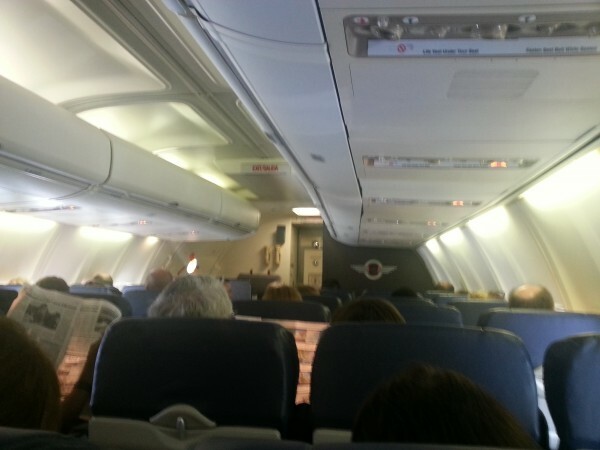 In the captain’s pre-flight address, he specifically thanked us for putting our trust in him and Southwest. Not, thanks for your business, but thank you for your trust. 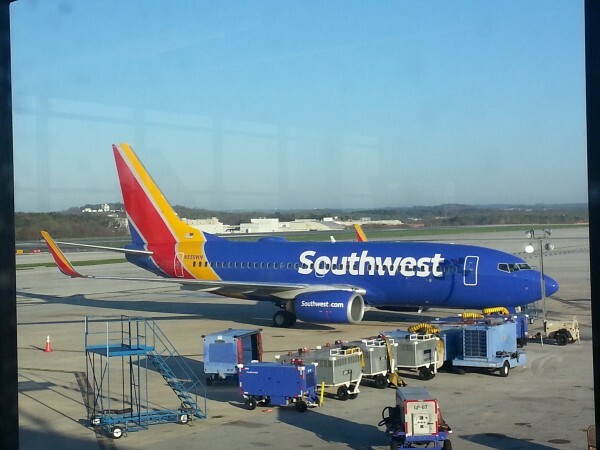 I think that speaks to Southwest’s culture, a culture that you can’t just make up one day, rather one that’s has grown with the company since day one with Herb Kelleher and Rollin King. A key philosophy of SW that differentiates them is “look after your people, they will look after your customers, and they will look after your business”. Play a game – how many miserable SW staff can you spot (1 point per sighting)? Not many. Try the inverse – how many happy staff at other US carriers can you spot (1 point per sighting). SW wins that game easy. @RJD – you make a great point… Again a point of culture.